Badanekayi bolu huli is specialty at Shri Krishna temple (matt) Udupi. I love to eat at South Karnataka temples, the lunch which is served as prasadam is very delicious. Udupi matt is also famous for tomato saru or rasam. 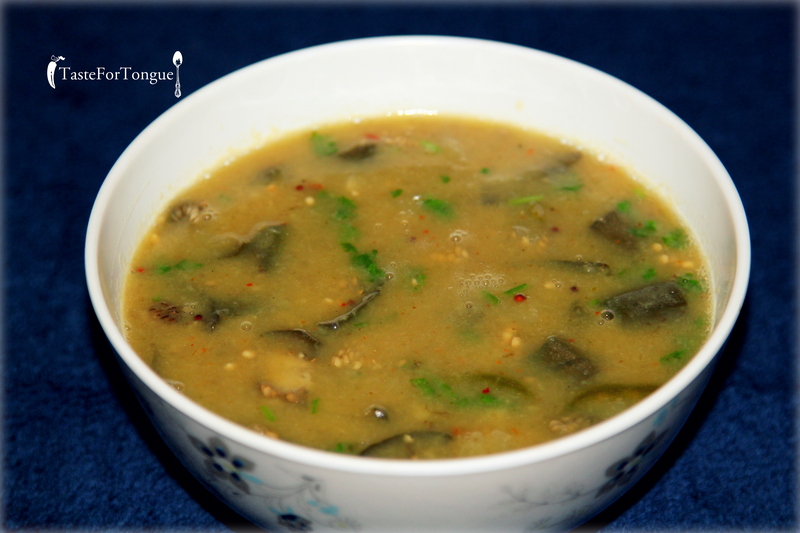 Today I am going to share green eggplant curry here, which goes well with hot rice. Pressure cook dal with turmeric and ghee. Cook eggplants (cut into cubes) separately with little water and salt to taste. 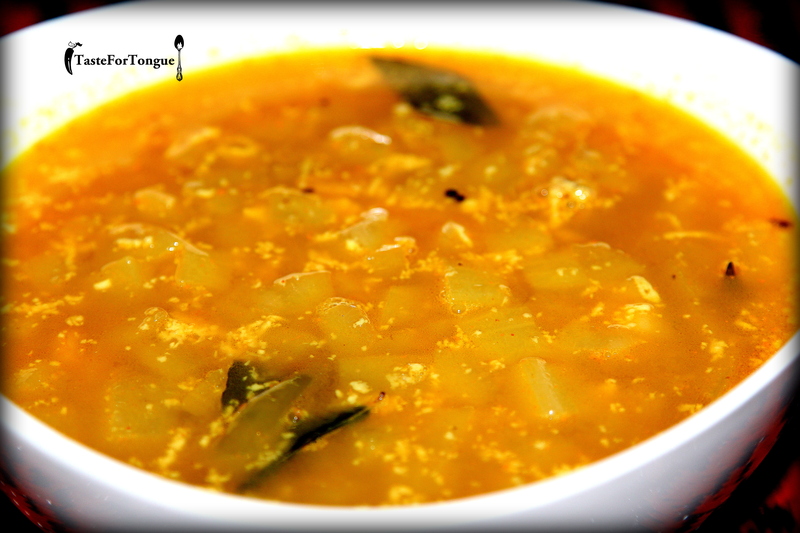 Add cooked dal and eggplant along with tamarind and jaggery and boil it for 3-4 minutes. Now tamper it with mustard, cumin, green chillies, asafoetida and curry leaves in ghee. Now add chopped coriander leaves and eggplant green curry is ready to be served with hot rice. Note: Do not make the curry too watery or too thick. Control the consistency by adjusting the water you use for cooking dal and eggplant. You can also add 2-3 tbs of coconut milk for extra flavor. Sorekayi/ bottle gourd is one of the tasty and healthy vegetables, which can be used in many recipes. Bolu huli or watery curry is simple recipe I am going to share today. Preparation time is very less (approximately 20- 25 minutes). Now serve it with piping hot rice and papad or any other crisps. Its a Mangalore style bolu huli, we call it as ”Bendhi” in Tulu language.